Bruce Owens of Burnt Store Marina was a lieutenant j.g. serving aboard the aircraft carrier USS Kearsarge (CVS-33) that plucked Astronaut Wally Schirra from the Pacific on Oct. 3, 1962 during America’s fifth manned space flight. The Kearsarge was filled with media people–reporters and photographers representing most of the big newspapers and TV networks. It was a tense but festive occasion aboard the Essex Class carrier. “The night before Schirra came down I was awaken at 1:15 a.m. by an announcement over the ship’s public address system. It said Astronaut Walter Schirra had successfully left Cape Canaveral and was on his way to the Kearsarge. 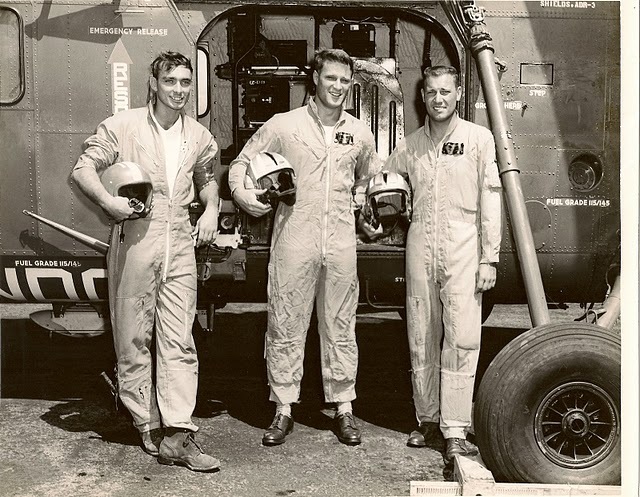 You could hear the cheers throughout the ship,” he wrote his wife’s grandfather in a 10-page typewritten letter shortly after the astronaut’s recovery. His squadron was on standby to pick up Schirra if he splashed down more than 100 miles from the carrier. Marine Corps helicopters were on board for a recovery closer to the ship. 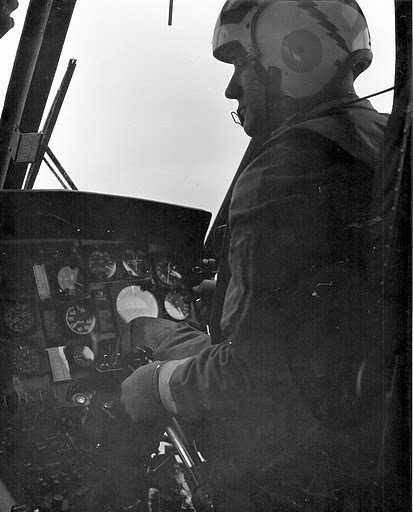 Since Owen’s squadron wasn’t needed for recovery duty, he turned his duties over to his assistant and went topside. “I took my camera and fought my way up to the second level of the ship’s superstructure. Surrounded by press people, I was directly above where I thought the helo would land with the astronaut aboard,” he wrote. “All around me were reporters from the AP, UPI, Life and others. “Next came the vapor trails overhead. As I looked up I saw a beautiful white arc in the sky stretching from astern of the ship to our bow. The first thing he asked while still in his capsule floating in the Pacific, “‘How did the World Series game turn out?’ The Giants won he was told. “‘That’s good,'” Schirra replied. He decided to remain in the capsule until hoisted aboard the carrier in Sigma-7. The Kearsarge sailed toward Midway Island where newsreel film and the capsule were dropped off. It was there all seven original Mercury astronauts came aboard. They accompanied Schirra back to Hickam Air Force Base in Honolulu. “I talked to John Glenn in the officers’ ward room for quite some time one night on the trip back. It was an exciting time for a 25-year-old junior grade lieutenant,” Owens recalled sitting at the breakfast table in his Burnt Store Marine home south of Punta Gorda. The two attacks were the basis for President Lyndon Johnson signing “The Tonkin Gulf Resolution.” This resolution catapulted U.S. forces from an advisory capacity in South Vietnam into a shooting war. “The Tonkin Gulf was too shallow for our submarines to operate in. 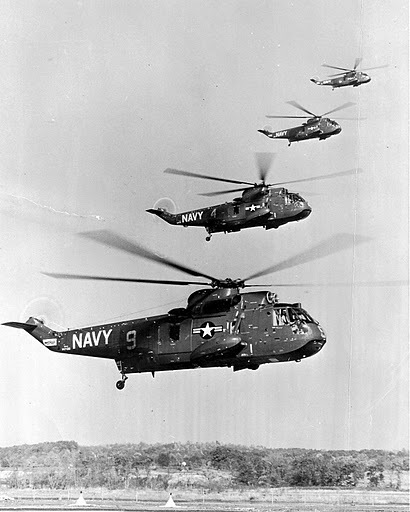 So they sent us out in our SH-3 Sikorskys with a single torpedo on hooks under the helicopter. The torpedoes would have only worked against surface ships if we flew over and dropped them like bombs,” he said. “On one flight into the Tonkin Gulf my torpedo broke loose from its forward mount and was hanging down at an angle in the front,” Owens said. “We couldn’t drop the torpedo because the other shackle was so badly bent it wouldn’t release. 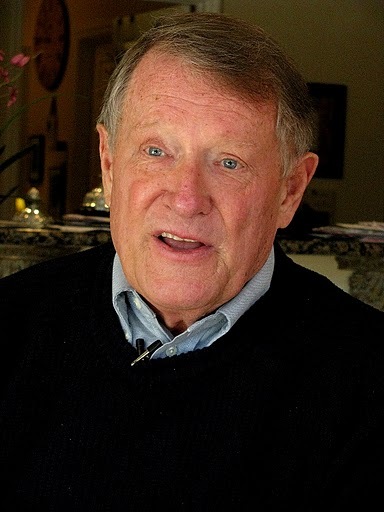 “Our job aboard the USS Hornet in the spring of 1966 was to watch the Communist ships in the Tonkin Gulf headed for Haiphong Harbor in North Vietnam,” Owens said. “We’d take pictures of each ship. 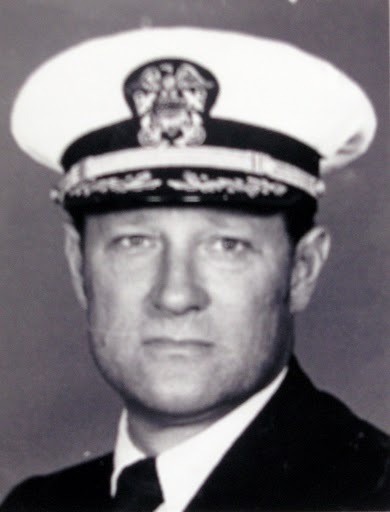 Owens had been serving as an admiral’s aide shortly before he embarked on the Hornet. “There were reports our planes, coming back from combat missions in North Vietnam, were having trouble with their radios being jammed by the enemy. The word was that it might have something to do with two ships off Hainan Island, across from Haiphong Harbor. “The admiral sent me up there in a helicopter to investigate. I flew there in the right hand seat as an advisor. My instructions were to go up there and find out what was going on with these two ships,” he said. “I suggested to the helicopter pilot that we fly low under the enemy radar and maybe the two ships won’t be able to pick us up. Since we were the only aircraft up there, there wasn’t any need for lights. “We came in between the two ships 50 feet above the water. By the time they heard us we were gone,” Owens said. “We had our radios on the same frequency our planes used coming out of North Vietnam. When we flew between the enemy ships our radios went crazy. “I told the admiral these were the two ships causing the problem. I don’t know what happened to the ships. All I know is that a short time later they were gone,” he recalled. Happy home coming for the Owens’ family. 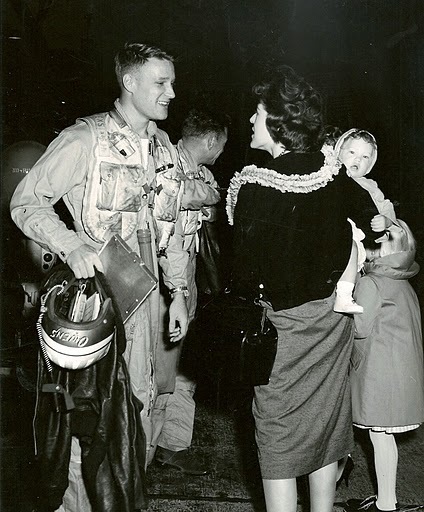 Bruce is pictured in October 1962 returning to San Diego, Calif. where his late wife, Peggy, and their 11 month old daughter, Beth, wait for him after his squadron participated in the pick up of astronaut Wally Schirra. Beth retired four years ago as a U.S. Navy commander. Photo provided. After a decade in Naval aviation, Owens left the regular service. He spent the next 12 years in the Naval Reserve flying P-2 and P-3 Navy anti-submarine patrol bombers. In 1982 he retired as a Navy captain. In civilian life, he worked as a manufacturer’s representative. Owens sold water and waste water plant equipment to cities and counties around the country. He and his wife, Nonnie, came to Punta Gorda in 2002 after he retired. Owens has three daughters: Elizabeth, his eldest, retired four years ago as a commander in the Navy; Anne, his middle daughter, is the vice-president of a Chicago bank and Patricia, his youngest, is events coordinator for the Fort Walton Beach Chamber of Commerce. Unit: Helicopter Squadron-6 aboard the USS Kearsarge, anti-submarine warfare Group One USS Hornet. This story was first printed in the Charlotte Sun newspaper, Port Charlotte, Florida on Monday, Jan. 3, 2011. It is republished with permission. Click here to view Owens’ collection in the Library of Congress’ Veteran’s History Project.